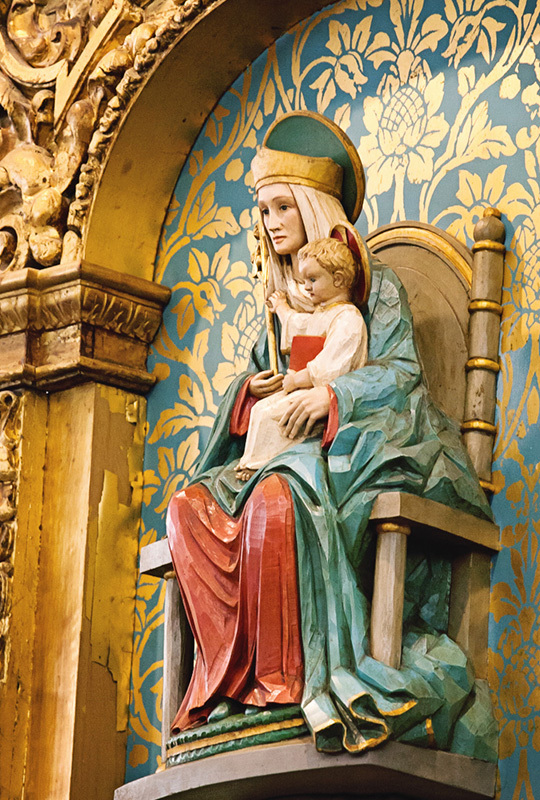 The National Shrine of Our Lady of Walsingham in Williamsburg testifies to a long and turbulent history; however despite an attempt to suppress this devotion, this devotion is gaining momentum. Check out this 5 minute video clip! Please mark your calendars! On Friday, September 23, 2016, please join our parish as Bishop DiLorenzo celebrates the dedication Mass for The National Shrine of Our Lady of Walsingham at 7:00 p.m. Before the Mass, you are invited to participate in a Rosary procession beginning at 5:15 p.m. on the church lawn. Please check the Saint Bede Parish News Room online for more information. This entry was posted in Christianity, Pilgrimage, Saint Bede Parish and tagged Blessed Virgin Mary, England, Mary, Pilgrimage, Saint Bede Parish, Walsingham on September 3, 2016 by frjfkauffmann.